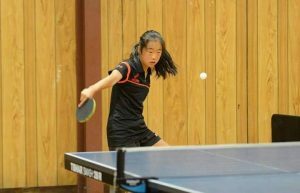 New Zealand’s Jiayi Zhou will be heading to Fiji for the 2017 ITTF World Cadet Challenge as the region’s leading player. Jiayi is the current Oceania Under 15 Girls’ Singles Champion, and at only fourteen years old, the Kiwi will have the chance to defend her title next year. Jiayi was dominant in Suva during the ITTF-Oceania Championships Cadet Singles; a 3-1 win against Australia’s Su Bin Oh was the only game dropped by the Kiwi as she went through the round robin undefeated. The New Zealander will be looking to echo her performance when she returns to Fiji this month as part of Team Oceania to face some of the best players in the world. The up and coming cadet looks in good form heading in to the global event. Jiayi secured her ticket to Bendigo, Australia in November for the ITTF-Oceania Youth Olympic Games Qualification Tournament after qualifying earlier this month. There she will be fighting for Oceania’s one position for girls at the 2018 Buenos Aires Youth Olympic Games. Jiayi lives and trains in Christchurch, New Zealand and has been playing table tennis for five years. Table tennis is a family affair for the Kiwi; her brother was playing so her parents wanted her to also get involved. Success has quickly followed, and it may be down to her taking a less than mainstream approach to the game. The fourteen year old is a defender, a style that is emerging in the region. Jiayi is one of two choppers that will make up Team Oceania heading to Suva. In fact, they were the two highest finishes that qualified for the team. Will the girls’ team parry their way to the podium in Suva? Stay tuned because we will find out in less than two weeks.